Well, hello there Christmas party season!!! To celebrate December festivities I’ve asked my make up guru friend, Sarah Marchlewski, to write up a holiday look tutorial for us, and I’m so excited to share her recommendations. Not only is she offering step-by-step directions for a lovely Christmas/New Years look, but she’s also providing an amazing giveaway! Check out her beautiful tutorial below! Hi everyone! For this look I wanted to go easy on the eyes, and bold on the lips. Follow my steps to achieve a classy holiday look! 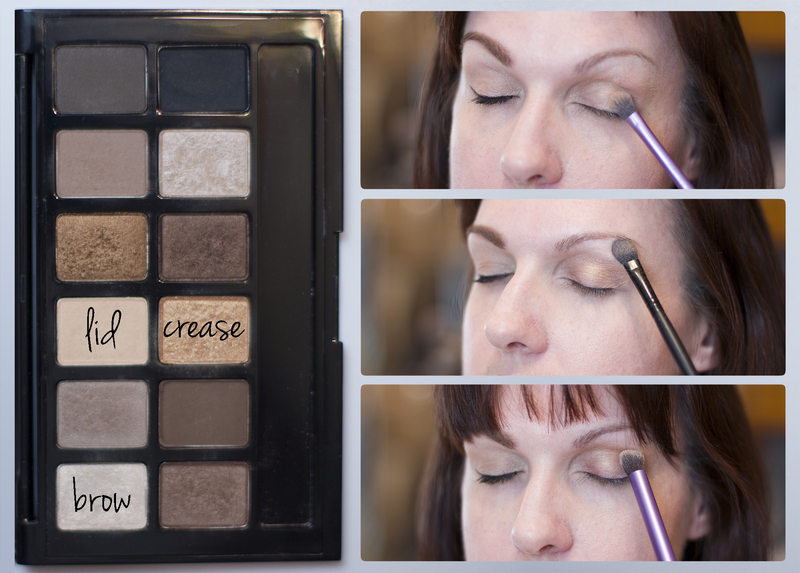 Eyes: Step 1: Using The Nudes Maybelline pallet, I first applied color #8 in my crease. Step 2: I applied color #11 on my brow bone. Step 3: Apply color #7 on the lid. Now it’s time for eyeliner, mascara, and brows! Here’s a photo montage for steps 1-7. Okay, lets do our lips now! Step 8: I like to stain my lips when using reds, it holds the color so much longer. 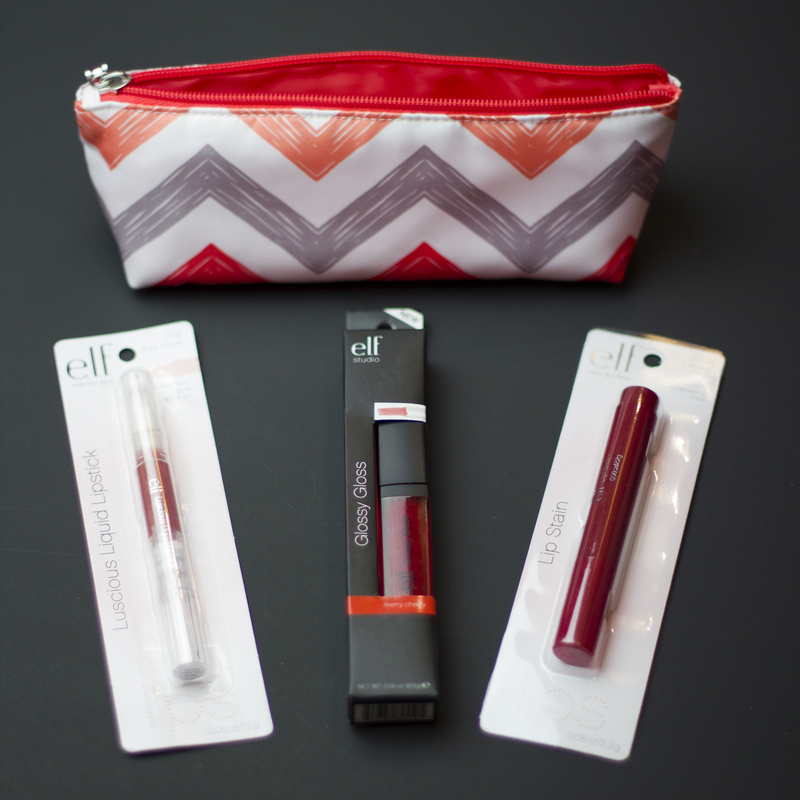 I used the elf Crimson Crush Lip Stain. 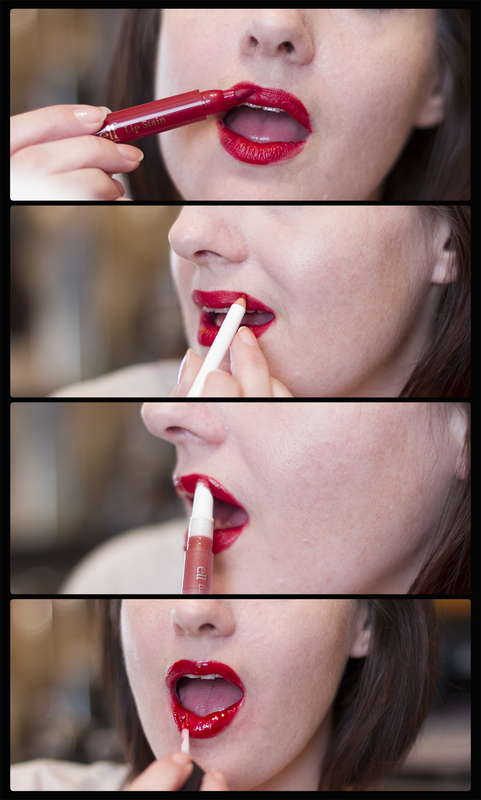 Step 9: Line the lips with a similar color lip liner (I used Sonia Kashuk Lip Definer, China Red). 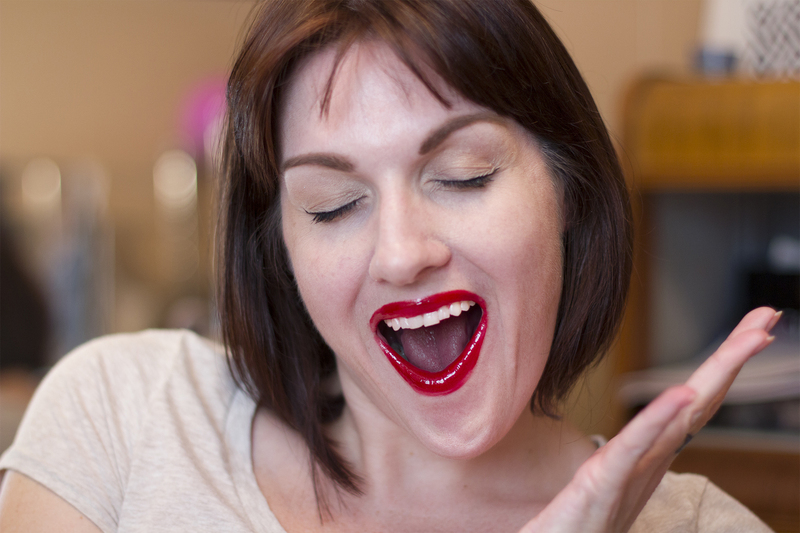 Step 10: Apply the lipstick (my color is elf Luscious Liquid Lipstick, Ruby Slipper). Step 11: This is the last step. 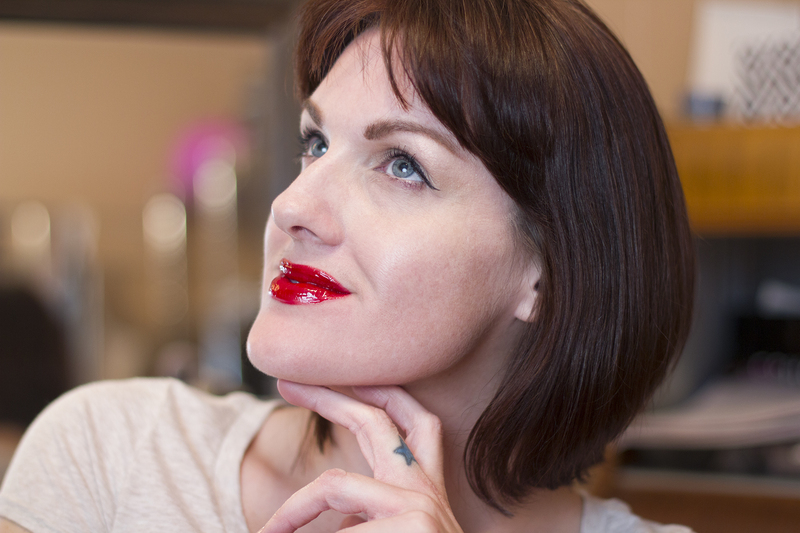 Make your red lips shine with some gloss! I used the elf studio Glossy Gloss in Merry Cherry. 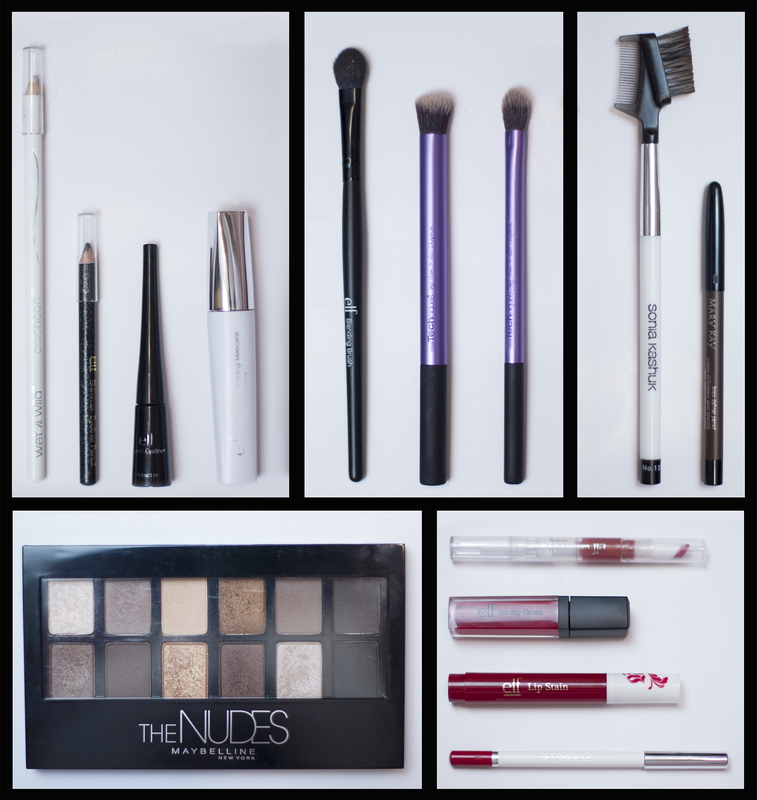 Here’s a photo featuring the products I used for this tutorial. And last, but not least, the amazing giveaway!!! A cute cosmetic bag with the lip colors I used in this tutorial! I filled it with the Lip Stain in Crimson Crush, elf Luscious Liquid Lipstick in Ruby Slipper, and elf Studio Glossy Gloss in Merry Cherry. Here’s a pic of all the goodies you could receive!